For long – connoisseurs had the pleasure of seeing Pongal Tests at Chepauk – pitch for sure would assist spinners and surer still were the results. The famous Indian spinners would be virtually unplayable in the 4th innings. In 1975 Andy Roberts and Gundappa Viswanath shared honours in a match which India was to win by 100 runs (massive in those days); in 1979 it was a good performance of Kapil Dev as India beat Windies led by Kalicharran .. and in the twilight of Viv Richards – India led by Ravi Shastri (his only Test as Captain) had 3 debutants : WV Raman, Ajay Sharma and Hiru. Phil Simmons debuted for Windies. At Chepauk in Jan 1988 in Test no. 1089 - India won an important toss, made 382. Narendra Hirwani took three of the five West Indian wickets to fall on the second day. On the third morning, Hirwani clean-bowled Vivian Richards with a googly went on to finish at 8 for 61; in the Second against a huge target of 416, Vivian Richard’s WI were dismissed in 40 overs for 160 . Hirwani was the wrecker-in-chief again with 8 for 75 and overall match figures of 16 for 136 leading a massive 255 runs victory. Sadly, Chepuak was to become a batsmen’s paradise with hundreds and doubles flowing later……..
That debutant for WI - coach Phil Simmons has been sacked due to "differences in culture and strategic approach", the WICB has confirmed. Trinidadian Simmons has earlier been Ireland coach for eight years, during which period they have been the pre-eminent force among the associate nations and have qualified for every International Cricket Council global tournament. 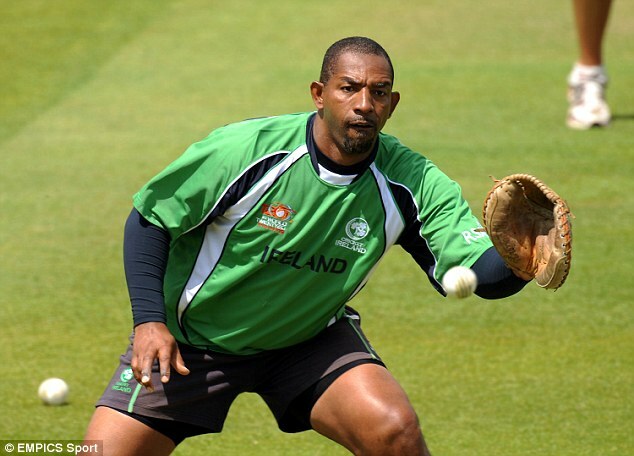 Under Simmons, Ireland pulled off World Cup victories over England in 2011 and West Indies. Simmons, moved into the role for WI after the 2015 World Cup was informed about the termination of his contract by WICB chief executive Michael Muirhead shortly before the West Indies T20 squad was due to fly to the UAE to play Pakistan. The sacking came just six months after West Indies had won the World T20 in India. For the Pakistan series, the WICB said the team would be under the supervision of former West Indies fast bowler Joel Garner, who is the team manager. "If the blind leads the blind they are bound to fall in a pit," former West Indies captain Darren Sammy is quoted as saying. He also called the WICB's recent symposium of players and administrators in Florida a "publicity stunt". Back home, Indians are to play New Zealand at home. The BCCI has decided to invite all the former India captains to celebrate the occasion of country's '500th Test match' that will be played against New Zealand in Kanpur from 22 September. A specially minted silver coin with 500th Test embossed on it is being prepared for the toss. Rajeev Shukla said that a host of events are being organised by the BCCI to make the event memorable. "The BCCI wants to felicitate all the former captains during the Test match. Green Park is one of the first four Test venues in India along with Chepauk, Wankhede and Eden Gardens. It will be a fitting tribute to all those former captains, who could be present on the occasion. The BCCI is making all arrangements," Shukla told PTI today. The likes of Nari Contractor, Chandu Borde, Dilip Vengsarkar, Kapil Dev, Ravi Shastri, Sunil Gavaskar, Sourav Ganguly, Sachin Tendulkar, Virender Sehwag, Krishnamachari Srikkanth, Anil Kumble, Rahul Dravid are expected to grace the occasion. However, BCCI may not invite Mohammed Azharuddin, who was imposed a life ban for his alleged involvement in match-fixing when the scandal first broke in 2000. "Every day, there will be 2000 under-privileged school children, who would be watching their favourite stars in action. We have also made arrangements for physically challenged persons and kids from the orphanage, who would be attending the Test match," said Shukla. Two weeks ago New Zealand were facing the pace barrage of Dale Steyn, Vernon Philander and Kagiso Rabada in South Africa's off-season. A short stop at home later, they are in Delhi, during India's off-season, preparing for what promises to be a challenging Test series on India's raging turners. ESPN Cricinfo writes that India are not going to do them any favours either. Not that New Zealand expected any. They didn't expect the track for the three-day game to prepare them for what is in store, and Feroz Shah Kotla is certainly in no mood to surprise them pleasantly. The track for the match against Mumbai, which won't be a first-class fixture and will thus let all 15 have a bat and a bowl, is not quite a greentop but looks nothing like what you will encounter at Indian Test venues. "It is what we expected to see here," Ross Taylor said of the grass on the Kotla pitch. This is consistent with what Virat Kohli felt when India gave England barely any spin to face in their warm-up matches before the Tests in 2012-13.